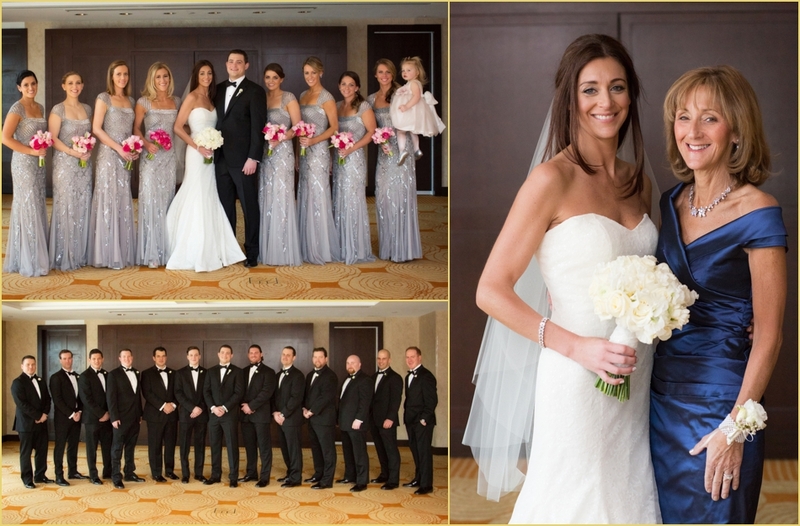 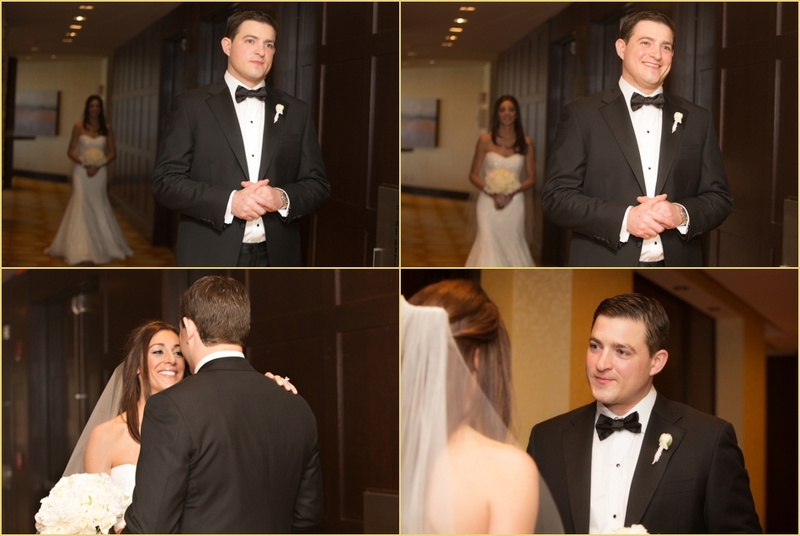 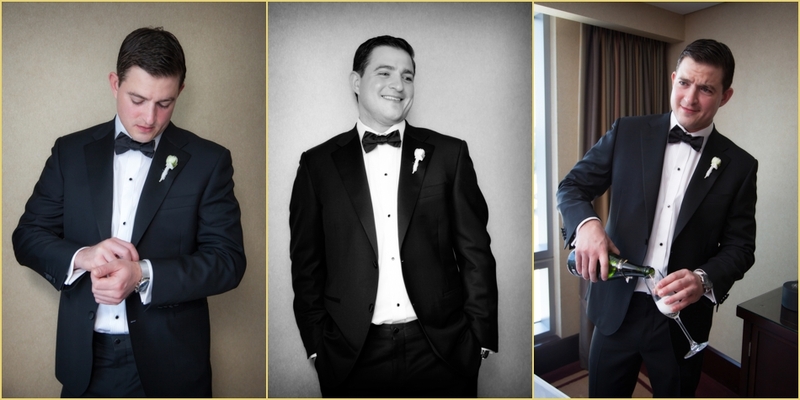 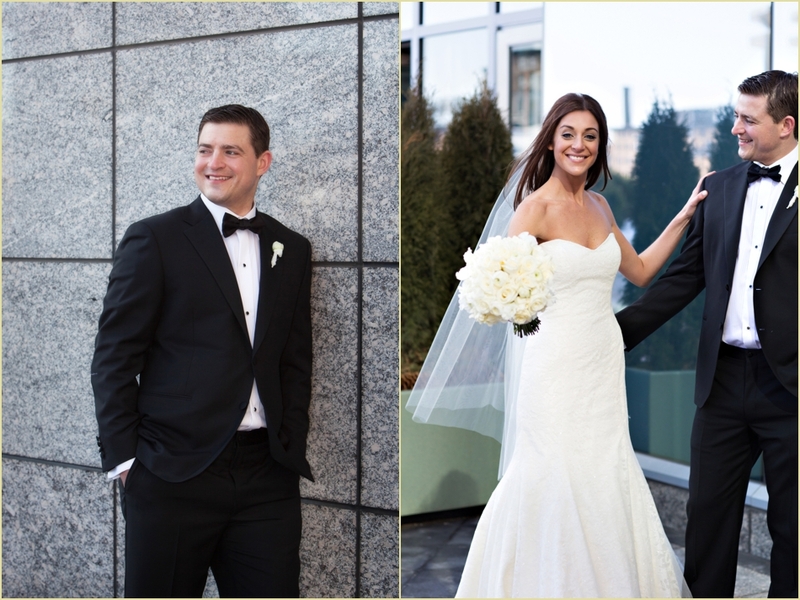 Earlier this month we had the pleasure of photographing Sarah and Jake’s winter wedding in Boston. 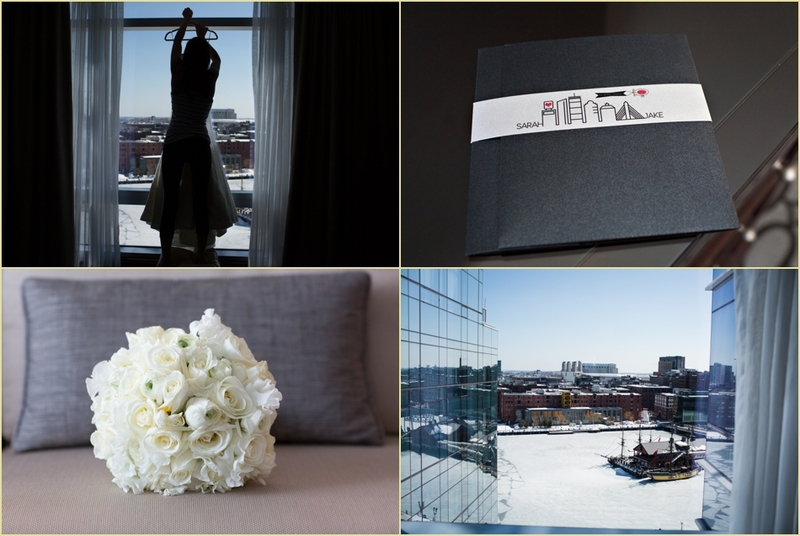 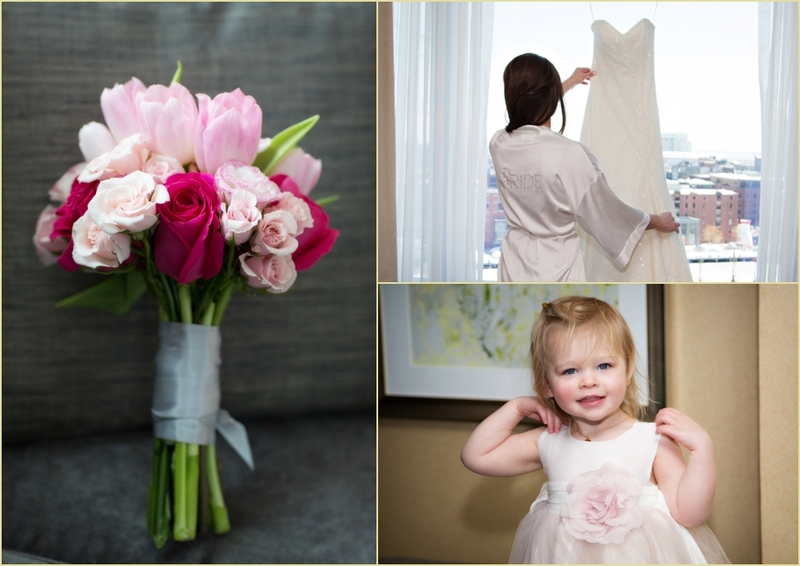 We started the day with the couple getting ready at the Intercontinental Hotel. 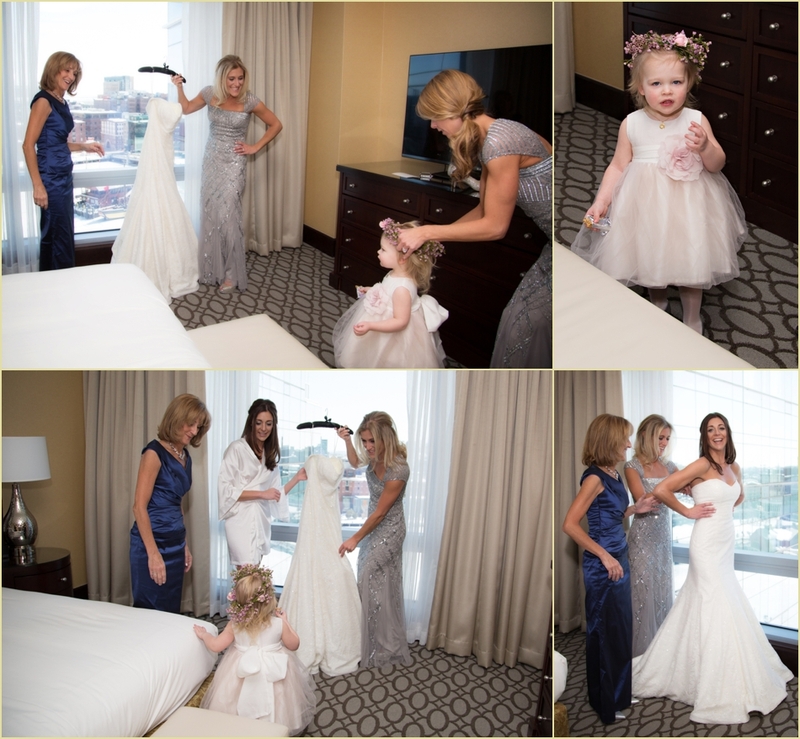 Sarah got ready with her bridesmaids and family before her first look with Jake. 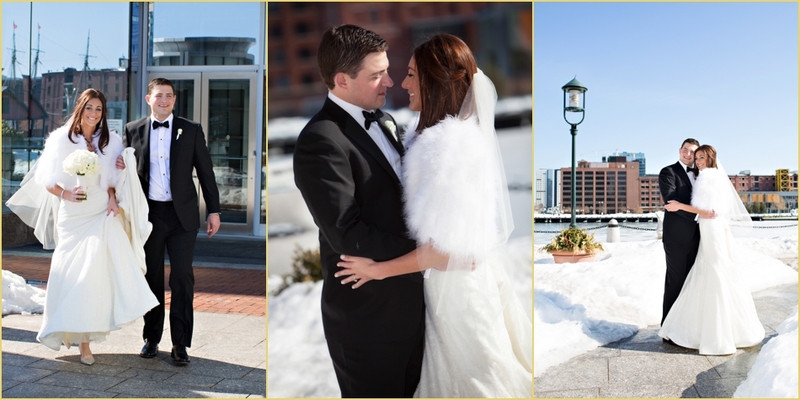 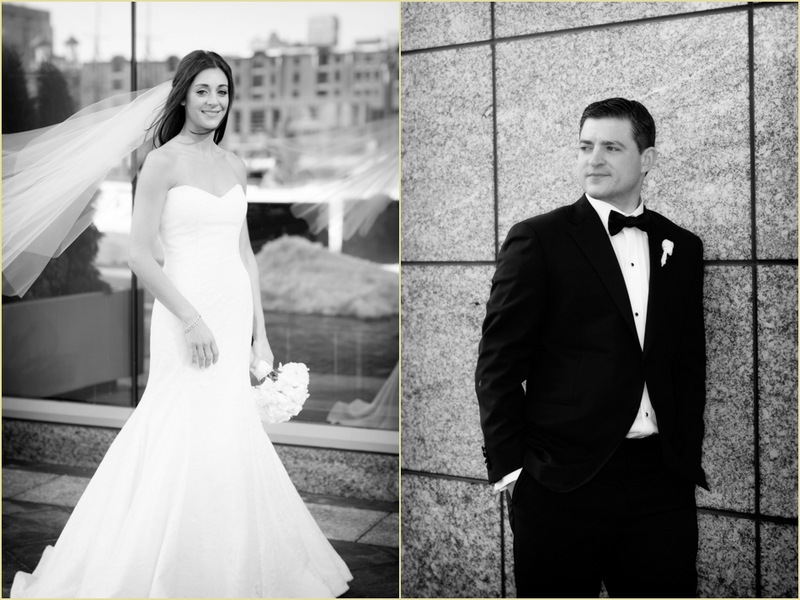 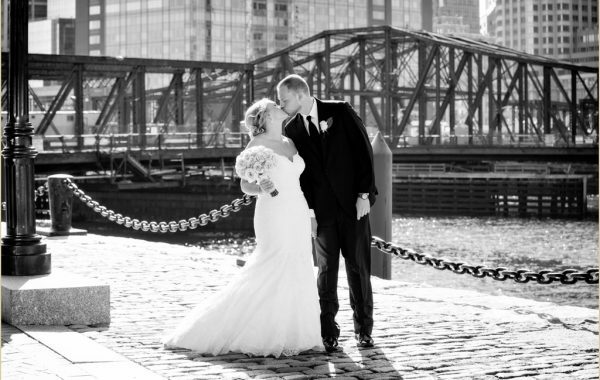 It was a beautiful clear day in the city, and we were able to take formal photos outside, on Boston’s historic waterfront, just steps outside the Intercontinental. 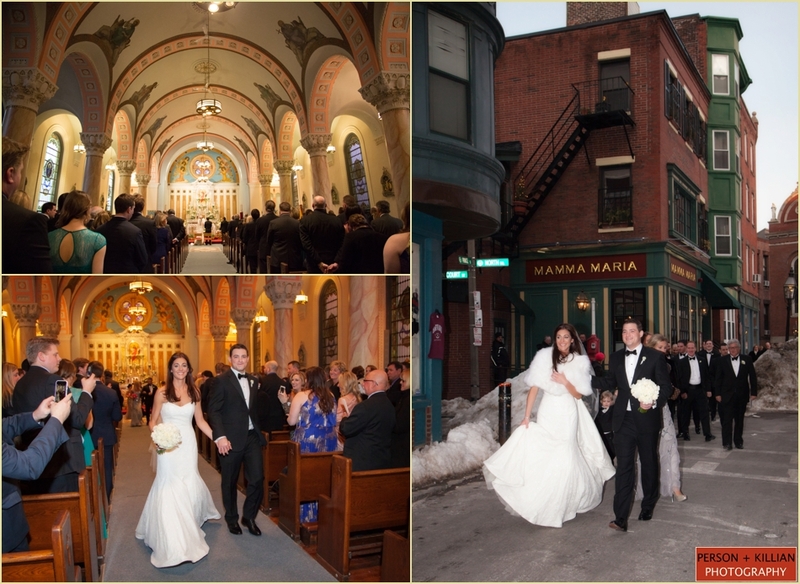 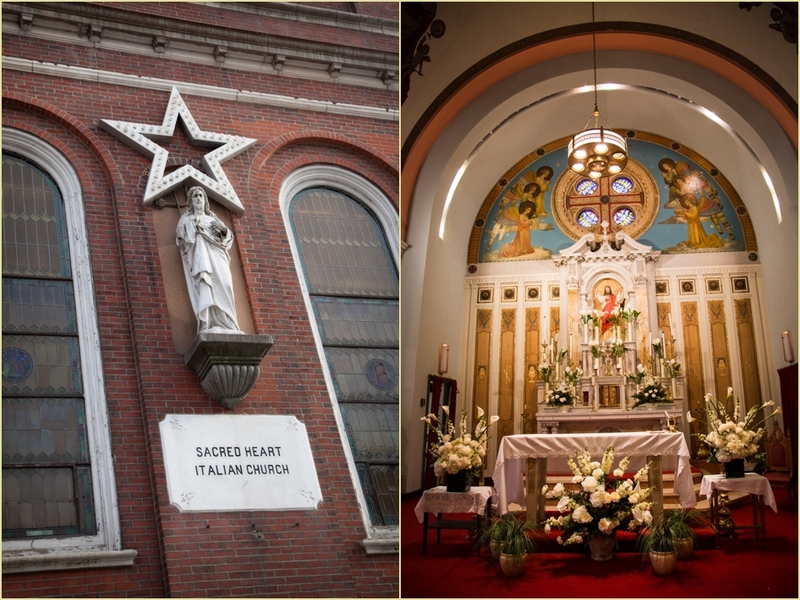 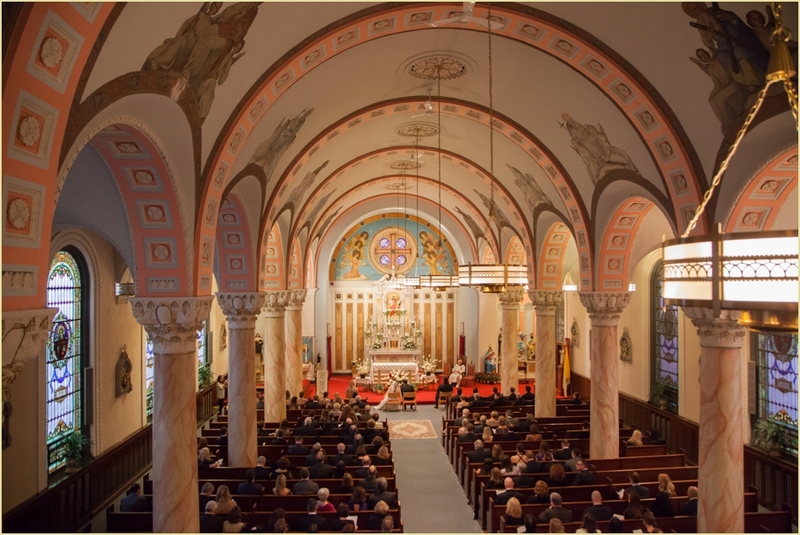 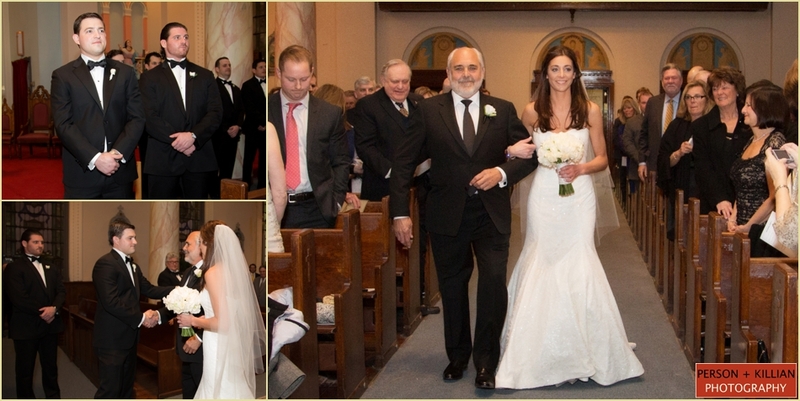 The couple’s traditional catholic ceremony was at the Sacred Heart Church. 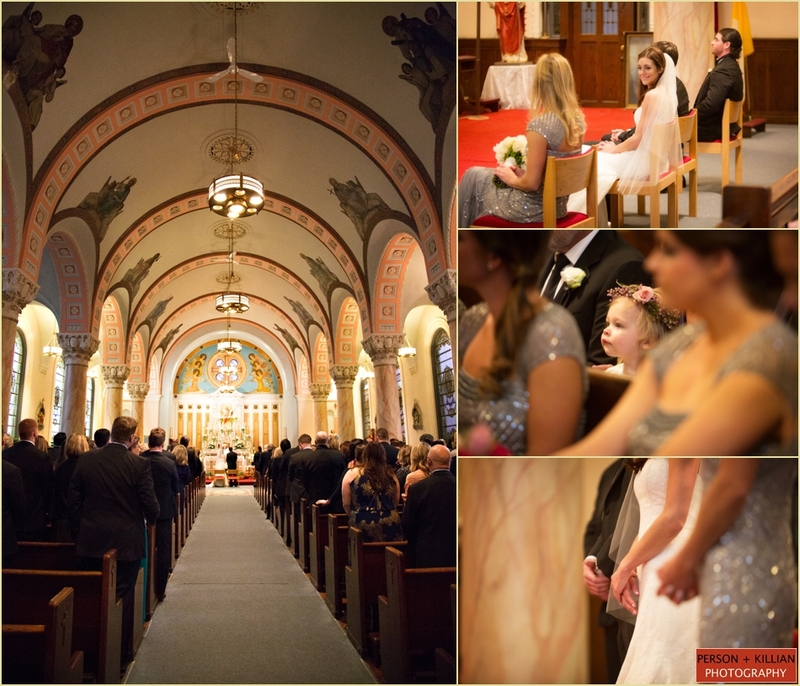 The church was transformed, adorned in gorgeous ivory and green flowers from Madison Floral, and the sunlight shining through the stained glass windows made it that much more special. 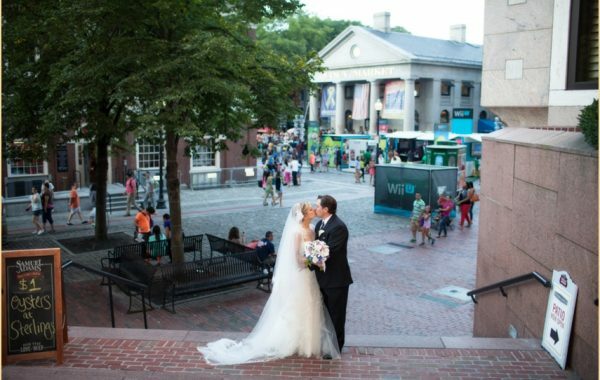 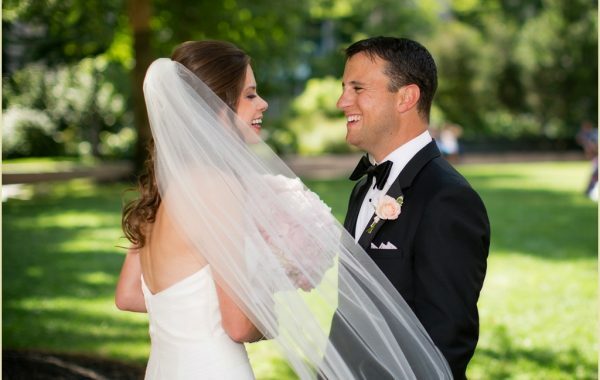 After the ceremony, the couple took a classic Boston trolly over to The State Room Boston where they met their guests and were introduced as “Mr. 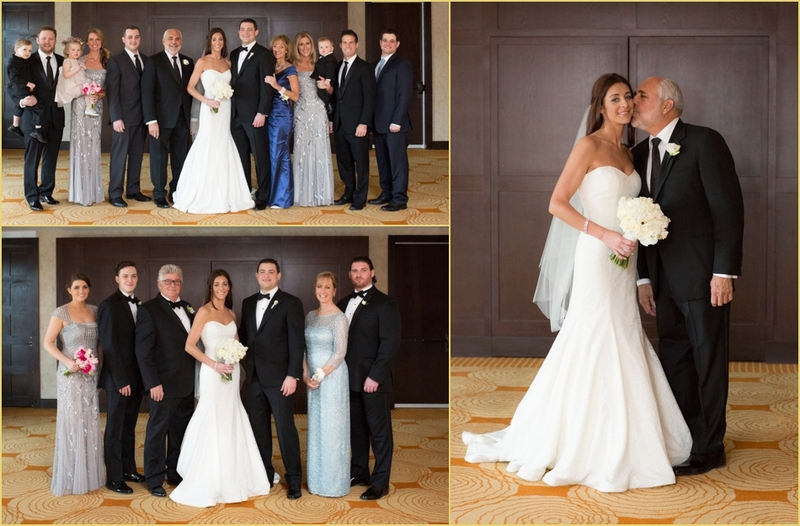 & Mrs. Clapton” for the first time. 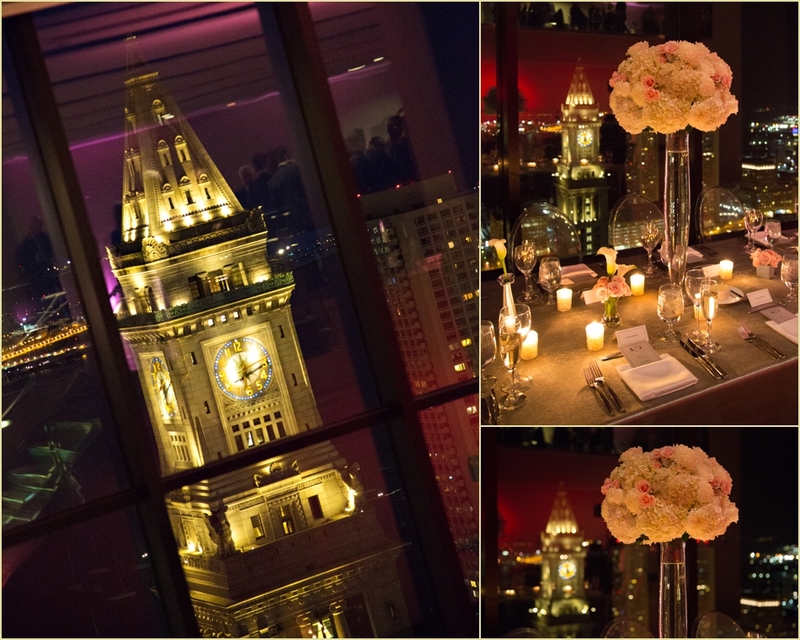 The State Room is absolutely stunning at night, with unmatched views of the Boston harbor and city lights. 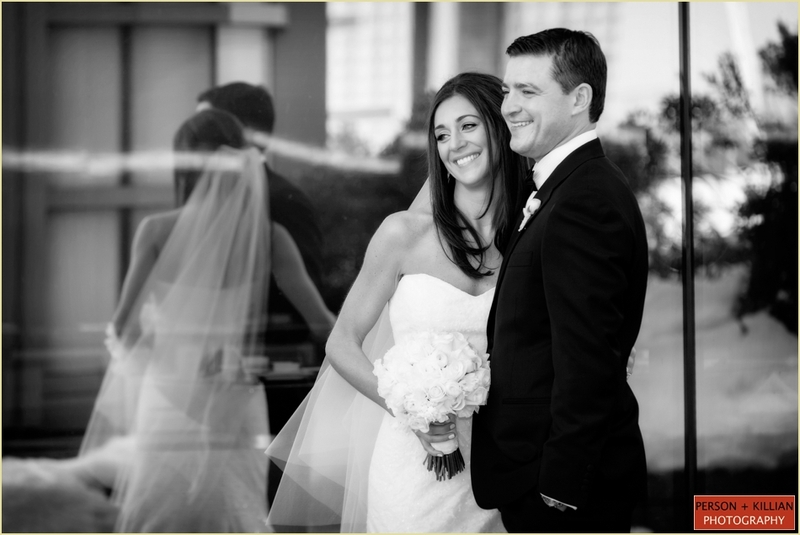 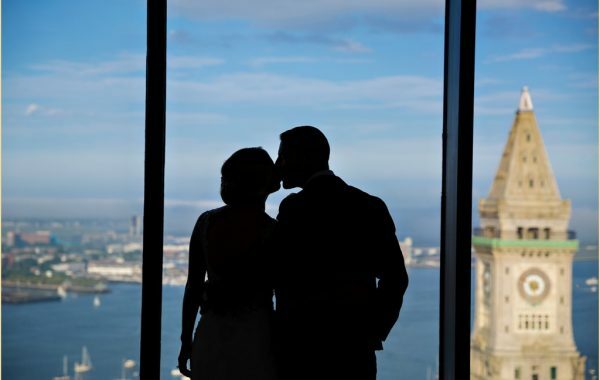 Sarah and Jake chose to have their reception in the Great Room, which has the most spectacular view of Boston’s skyline through their panoramic glass windows. 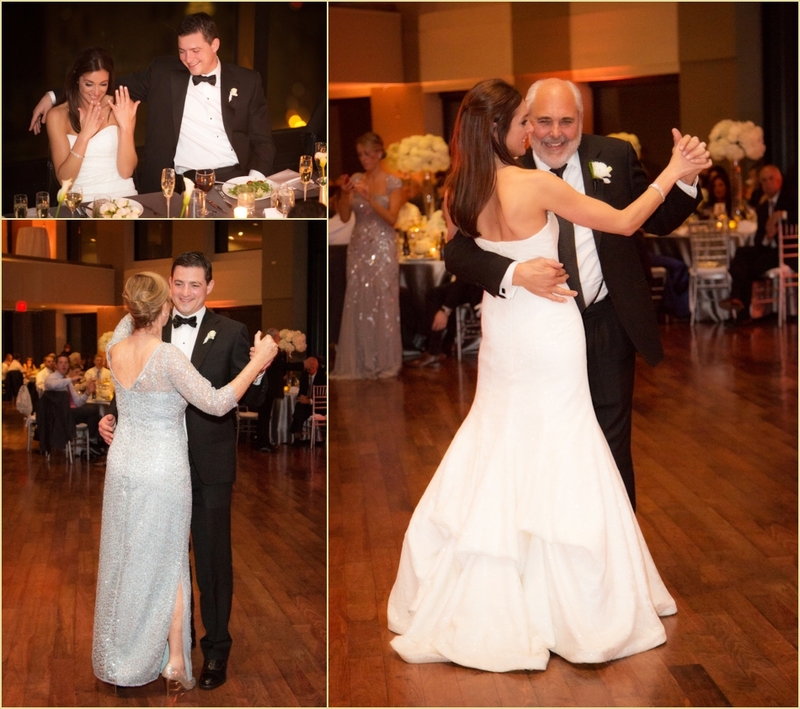 Their guests experienced the beautiful views and watched as Sarah and Jake shared their first dance. 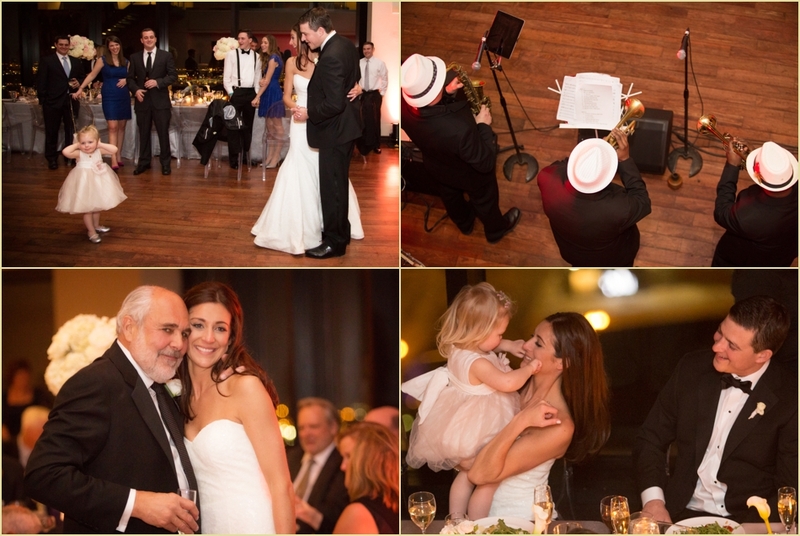 Everyone enjoyed toasts, cake and music from the Eturnity Band as they celebrated into the night. 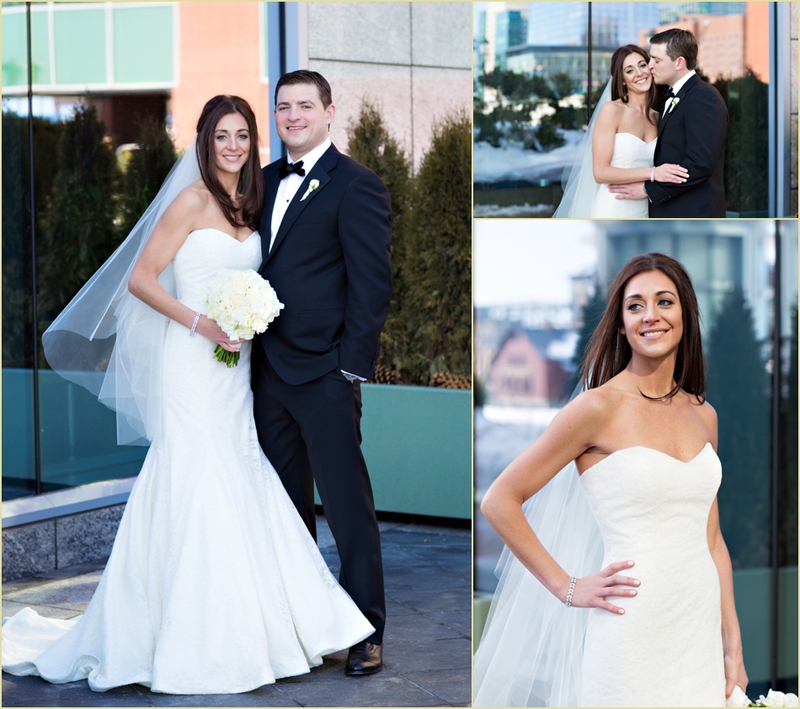 Thank you to the entire team at The State Room Boston, and congratulations Sarah and Jake!